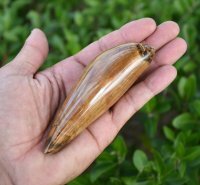 Polished Fossil Whale Tooth [POL80] : Fossils Online, Welcome! 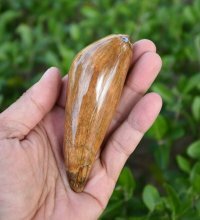 Gorgeous color on this fossil whale tooth that has been ground and polished to a mirror like finish. 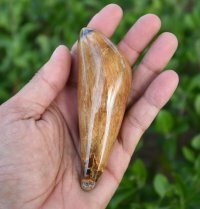 All polished fossils on this site are done in house. Tooth measures 4 5/8".